living each day to the greenest, cooking gluten-free and vegan along the way. It's becoming more and more difficult to choose what not to get for my weekly CSA share. D and I showed up on Sunday morning, and the table was covered in delicious produce, including different types of beets, many varieties of kale, and much, much more. We diligently looked through the entire selection before carefully making our choices. (Left to right): Cucumbers, kale, beets, carrots, broccoli, sweet onions, beet salad, salsa, and hummus. Not pictured: freshly rolled oats (they smell delicious - I can't wait to eat them for my breakfast meal!). I think I will be eating many salads this week - it's going to be a warm one, plus these foods lend themselves quite nicely to summer salads. I follow a mostly unprocessed, always gluten-free and plants-based diet. Since September 2014, I've lived in the Seattle area, but prior to that I grew up and lived in Portland, OR. I used to own my own gluten-free, vegan and allergen-free bakery, but after two years of [extremely] hard work, I decided to move on and start studying to become a registered dietitian. 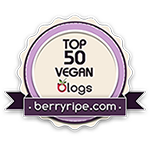 Contact me at geanna at greenveganliving dot com with comments, questions, or anything else you have to say!